Taylor Swift’s 1989, released October 27, is tracking to register close to a million copies in first-week sales. That means it’ll likely become the first platinum album of 2014. And like Red and Speak Now before it, the pop-leaning LP will earn the 24-year-old superstar a boatload of money. 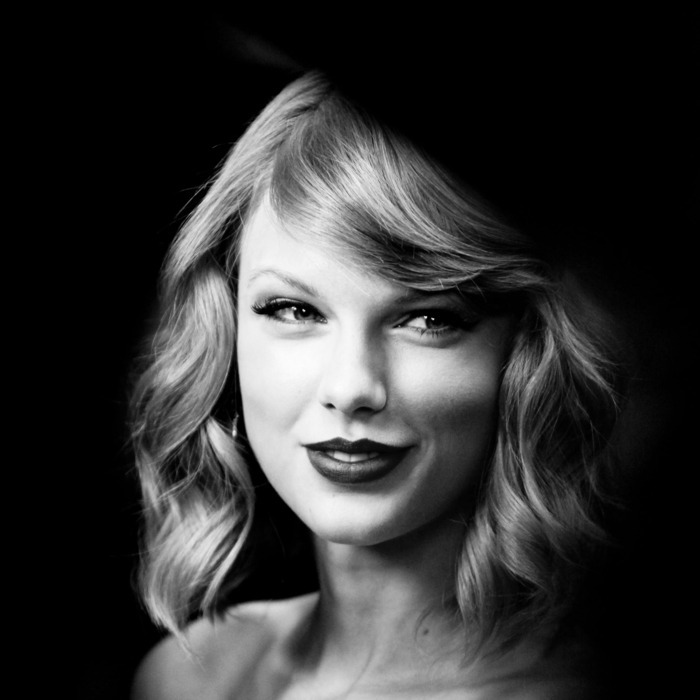 In 2011 and 2013, Swift placed in the top ten of Forbes’s annual Celebrity 100 list, ranking the power of stars based on income, Google hits, media coverage, fan-base size, and more, although she slipped to No. 18 this year after earning $64 million (the dip was likely due to the fact that she hadn’t released an album in 2013). Odds are she’ll do just a teeny bit better in the next rankings. Because Taylor doesn’t readily explain how and where she earns her money, here’s our best guess as to how her monetary worth all shakes out. There’s the $1.99 million Nashville penthouse condo she bought in 2009 and a cozy $3.97 million three-bedroom house in Beverly Hills, where she recently hosted 89 of her biggest fans for a 1989 listening party, even baking them cookies. In 2011, she spent $2.5 million buying a Nashville estate for her parents, and last year she purchased an eight-bedroom waterfront mansion in Rhode Island, for which she reportedly paid $17.75 million in cash. This year, she bought Lord of the Rings director Peter Jackson’s Tribeca penthouse for around $15 million, then spent somewhere around $5 million to buy the place across the hall, so her security team can have its own digs. As far as getting to and from all that property? In 2011, she also bought her own 12-seater plane, a Dassault-Breguet Mystere Falcon 900, for about $40 million and stores it in her own hangar at Nashville International Airport. According to Billboard figures, Swift made $39,699,575.60 in 2013 from touring, album sales, royalties, and streaming fees — in the U.S. alone. Her tours behind Red, Speak Now, and Fearless have grossed $133 million, $123 million, and $63 million, respectively. Billboard assumes that the artist gets 34 percent of the gross after manager and promoter fees, so we’ll assume that, for those three tours, she likely netted $108.46 million. Off the road, she’s sold more than 30 million albums and 75 million singles downloads, a fixture at the top of the Billboard charts. Billboard assumes a 20 percent royalty rate minus producers’ fees for all sales, so we’ll lowball it at $12.99 per album with a going rate of $1.29 per single. That’s $77,940,000 in album sales and $19,350,000 for a total of $97,290,000. Taylor has made deals with Diet Coke, CoverGirl, Keds, Sony, Elizabeth Arden, L.e.i. Jeans, and American Greetings, which, according to them, is the world’s largest greeting-card company. There are no exact figures on those deals, which are all reportedly in the six- to seven-figures range. One favorable comparison is Beyoncé’s $50 million deal with Pepsi, which includes TV, print, and online ads as well as a fund for some of Mrs. Carter’s creative projects. As a “brand ambassador,” Taylor has shilled effectively for the rival brand, talking about her love of Diet Coke in an interview with Bon Appétit and drinking the soda during interviews. So, let’s go low and say Taylor got half of Beyoncé’s deal, bringing in $25 million for her continuing support, and $500,000 for the others, meaning another $6 million. On top of that, Billboard notes that her Red tour “boasted three integrated sponsorships (Keds, Elizabeth Arden, Diet Coke) whose estimated cash value is believed to be in the high seven figures, and, at $17 per head in merch sales, Swift stands to bring in an additional $10 million gross.” Applying the same 22.6 percent rate as what she brought home for her ticket sales, that’s $2,260,000. Forbes estimates she’s earned $252 million since June 1 of 2008, while our modest figures see her earning $239 million in income with another $86 million in real estate and plane assets. Being in the current 39.6 percent tax bracket, she’s probably paid $94.6 million to the IRS over the years, not factoring in any charity, other deductibles, and any creative accounting. Her dad is an SVP at Merrill Lynch, and her mom worked in mutual-fund marketing, so it’s fair to assume that Taylor has all her ducks in a row when it comes to finances. With an above-average 15 percent going to management, other staffers, and care for her cats Meredith and Olivia Benson, that would all leave her with $195,844,245.11, with a whole lot more coming soon after 1989.